Luxury motor yacht MANU is an Italian designed Azimut measuring 21m (68.11ft), she was built in 2004 and underwent a refit in 2014. 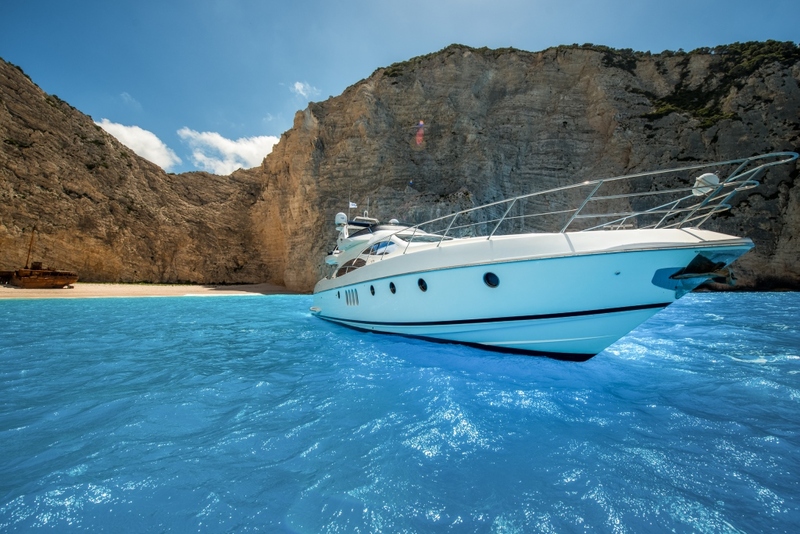 Based in Zakynthos Greece year round, the MANU motor yacht offers accommodation in 4 en-suite cabins, for up to 8 guests. 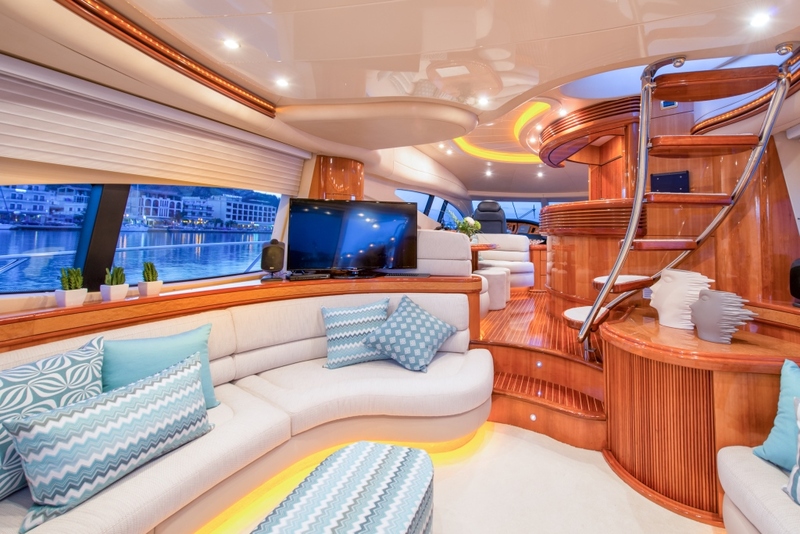 Charter yacht MANU features a light airy interior, in a contemporary décor. On the main deck, the spacious salon offers 2 opposing pale cream leather sofas, an ottoman and full entertainment system. Dashes of blues compliment the relaxed elegant ambiance, while high gloss wood panels bring sophistication and panoramic windows allow ample natural light and create a generous feel. Forward of the salon, the raised formal dining area is on the port side and sits atop traditional teak and holly laid floors, with the well-appointed galley to starboard. Guest accommodation is below decks, in 4 en-suite cabins. 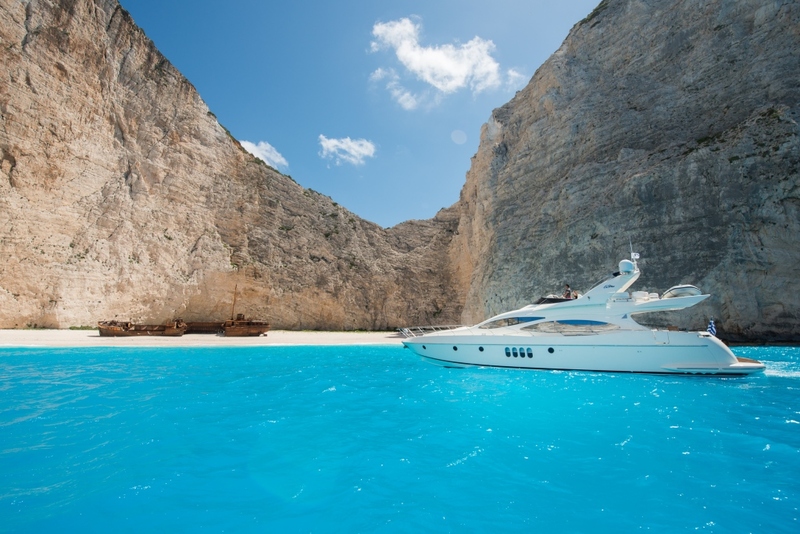 M/Y MANU’s exterior living is plentiful, perfect to enjoy the warm Greek weather and stunning blue seas. The aft deck is adjacent to the salon, shaded and boasts an alfresco dining option and seating. 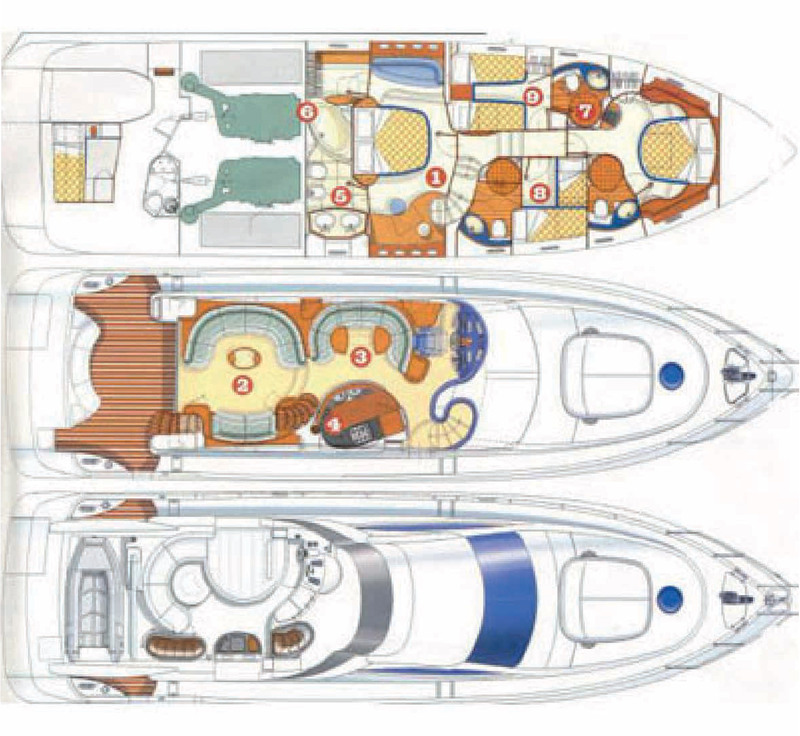 Wrap around decks lead forward to the foredeck, where a double sunpad beckons the sunlovers. Above the main deck, the flybridge has a further alfresco dining option, sunpads and BBQ station. 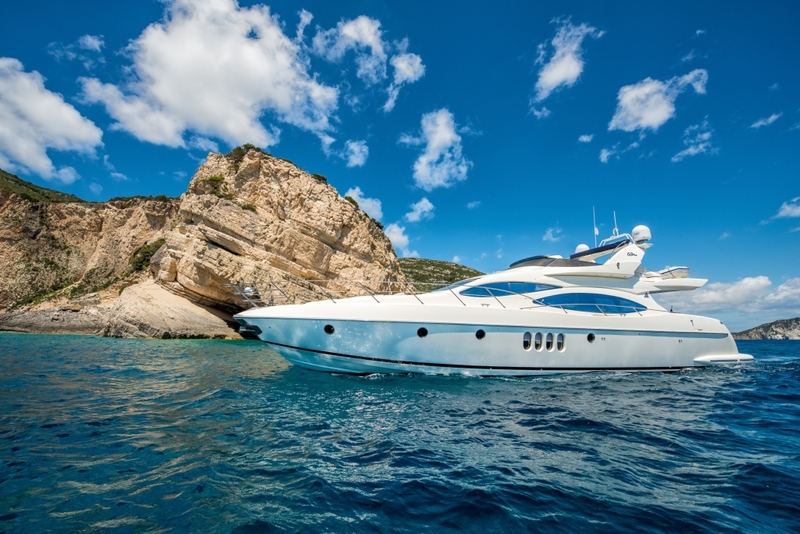 Water enthusiasts will be pleased with the choice of sea toys on offer, all effortlessly accessed from the extended swim platform, on the yachts transom. The Azimut crewed charter yacht MANU, is powered by 2 MTU 1150hp engines, she cruises at 24 knots and can reach top speeds of 30 knots. 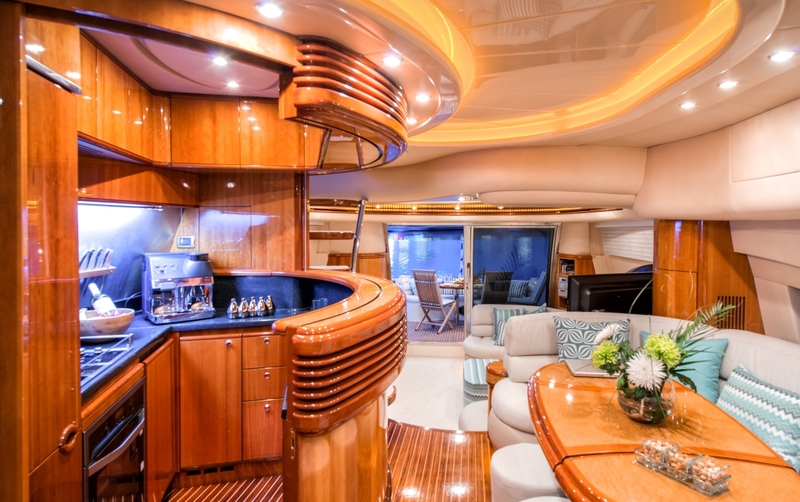 Luxury motor yacht MANU accommodates up to 8 guests in 4 en-suite cabins. 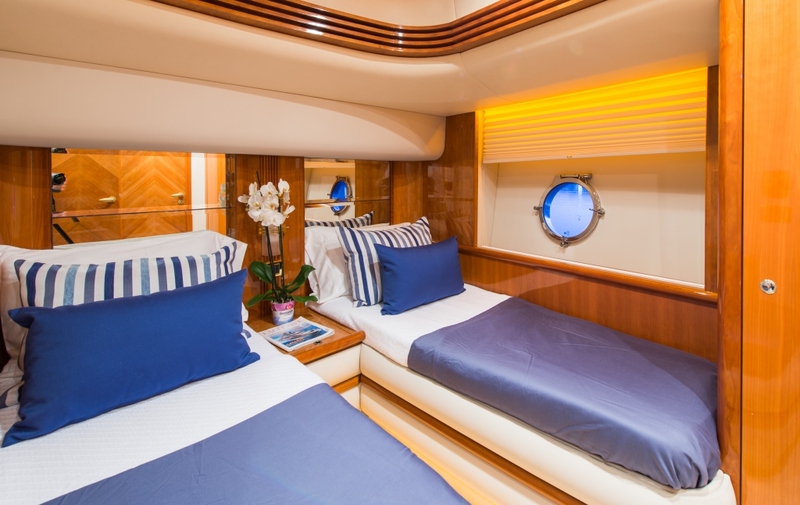 The master stateroom is full beam of the yacht amidships, with a center lined queen size bed, sofa, vanity and Jacuzzi in the en-suite. 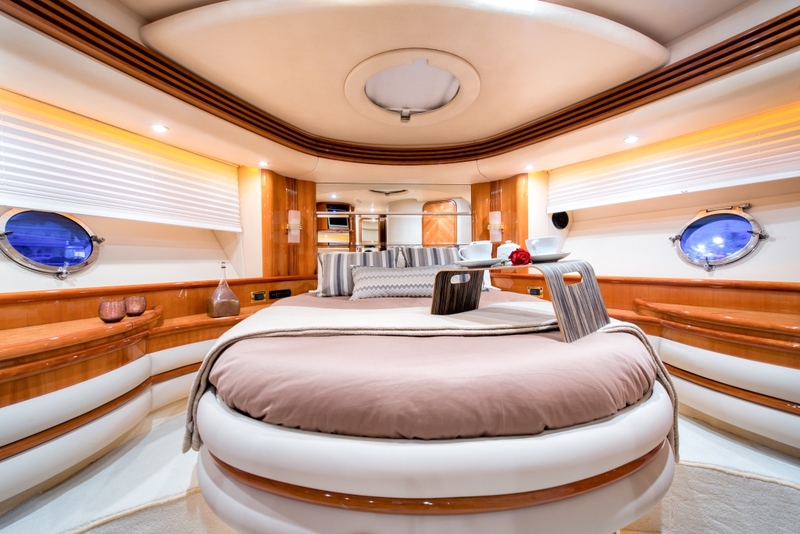 The VIP cabin is forward and full beam of the yacht, with a center lined double bed. On the port side, a guest cabin has side by side twin beds, while on the starboard side, the guest cabin offers upper and lower single beds. All 4 elegantly finished cabins boast TV entertainment and full air conditioning. Tenders & Toys onboard the MANU yacht include a Tender Quicksilver 3.40m with YAMAHA 40 HP, a Jet Ski SEA DOO Spark for 2 persons 900 cc (license required), Banana, fishing & snorkeling equipment, Paddle board, wakeboard, kneeboard. Communications include Autopilot, GPS, Raymarine Radar, Magnetic compass, VHF, Printer/fax, wi-fi internet onboard. Audio Visual Equipment and Deck Facilities include SAT TV in Saloon LG SMART 43”, SAT TV in all cabins (the Master cabin has a 32” LG TV), CD players in Saloon, aft deck, Sundeck, Master & VIP, Home cinema in Saloon, DVD in Saloon & Master cabin, Playstation X box.